Named as the first and only Filipino ambassador of the organization. United Nations High Commissioner for Refugees (UNHCR), the UN Refugee Agency has appointed broadcast journalist Atom Araullo to be the organisation’s Goodwill Ambassador in the Philippines. In an exclusive interview, the newly designated ambassador has shared with MB Life his new role, his responsibilities, and the important role everyone should play, especially the youth to help refugees around the world. Araullo made history as the first and only Filipino chosen to be UNHCR’s Goodwill ambassador. He’s now one of the influential individuals who represent UNHCR around the world, among which are award-winning actress Cate Blanchett, “The Kite Runner” author Khaled Hosseini, and the American actor Ben Stiller. “Nakatataba ng puso, nakakakaba rin dahil napakalaking responsabilidad lalo na sa panahon ngayon na ang daming mga pagsubok at dumadami pa ang mga refugee at iba pang mga displaced people sa buong mundo. 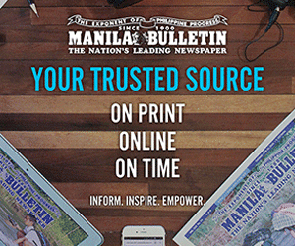 Kaya natutuwa ako na nandito ako ngayon at mayroon akong oportunidad para makatulong,” Araullo said. But what purpose does an ambassador serve? “Bilang isang goodwill ambassador, ako ang taga-spread ng message ng UNHCR. At taga himok sa publiko na makiisa sa mga kampanya at iba’t-ibang mga inisyatibo para tumulong sa mga refugee,” he explained. “Syempre bilang isang individual, kailangan ko ring tingnan kung ano ang aking kakayahan at saan ako pinaka-makatutulong. At dahil isa rin akong mamamahayag, nakikita ko itong papel na ito bilang taga-kwento ng mga pinagdadaanan ng mga refugees para mas maiintindihan ng nakararami kung bakit kailangang nating tumulong,” he continued. 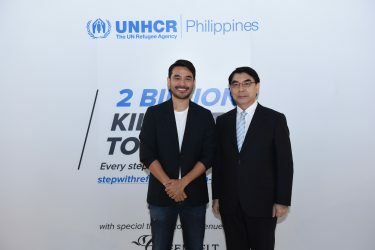 The 36-year-old Araullo is now active in campaigning for UNHCR’s newest initiative: the 2 Billion Kilometers to Safety. This is a virtual walk or run where UNHCR is challenging participants across the globe to cover 2B kilometres — the same distance millions of refugees have to travel every year to reach their first point of safety. As you watch this, thousands of families are on the move to flee conflict, violence, and persecution. We invite you to walk in solidarity with them and take part in their journey. #StepwithRefugees is a campaign which sees us commit a certain number of kilometers for refugees and other displaced families. It is a simple but powerful way of showing our support. I have pledged to walk (or run!) 100km in 1 year. Kaya naman diba? 😀 Sign up at https://stepwithrefugees.org/en-ph/ (link in bio), and learn how you can help provide life-saving aid, shelter, protection, and solutions to the 68.5 million refugees and displaced persons worldwide. Every step counts! “We want to show people the ordeal that refugees and displaced people have to go through. It’s not just important for people participating to feel that they’re doing something, it’s also important for the refugees themselves to see that people actually care,” Araullo said. Araullo acknowledged the impact that Filipino youths can make in helping those in need. “Philippines is a very young country. If you’re looking at which sector is the most effective in spreading the message and is a real force in making and achieving the change that you want, it’s really the youth,” he said, adding that active participation in different advocacies has never been more relevant. Apart from encouraging the younger generation to take actions, the I-Witness documentarist has an important message for young Filipinos. “Youth should not be wasted on the young. While we have this so much energy, we have this desire to change the world, and to create a better future, then, we should grab it. Life is not just about seeking success on our terms and trying to make a better life for ourselves, and for our love ones. It is really more about seeing what we can do to help others and the impact that we can do to help those in need. So I just want to encourage them to learn more about what’s going on, and to do their part,” he ended.